Apple, the #OriginalHealthFruit for life! 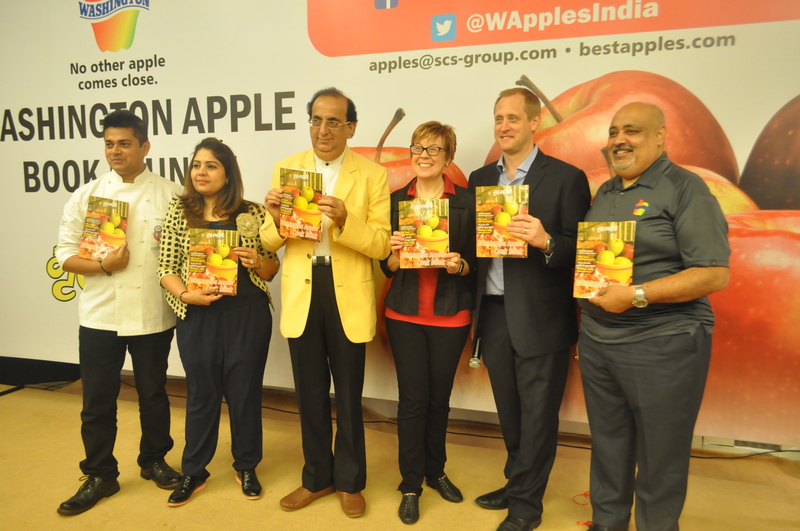 New Delhi, 5 April, 2017: On the occasion of world health day, Washington Apple Commission (WAC) has launched the Washington Apple Cook Book in association with Grehlakshmi magazine in New Delhi today. The book highlights the health benefits of Washington apples with an array of unique apple recipes from various celebrity chefs & home chefs. It also emphasizes on why the #OriginalHealthFruitshould be a part of your daily lifestyle. The launch was graced by Mr. John Slette, Senior Attaché for Agricultural Affairs, US Embassy, New Delhi, Ms. Rebecca Lyons, International Marketing Director, WAC, Mr. Keith Sunderlal, India Representative, WAC, Ms Vandana Verma, Executive Editor of Grehlakshmi magazine, Dr. H.K Chopra, Renowned Cardiologist along with Celebrity Chef Sabyasachi Gorai. The launch event witnessed an exciting cooking competition to showcase the versatility and usage of apples in various dishes. It brought together 10 chefs who presented plated Washington apple recipes. Out of these, 4 best finalists were chosen to participate in the mystery cookery box challenge. 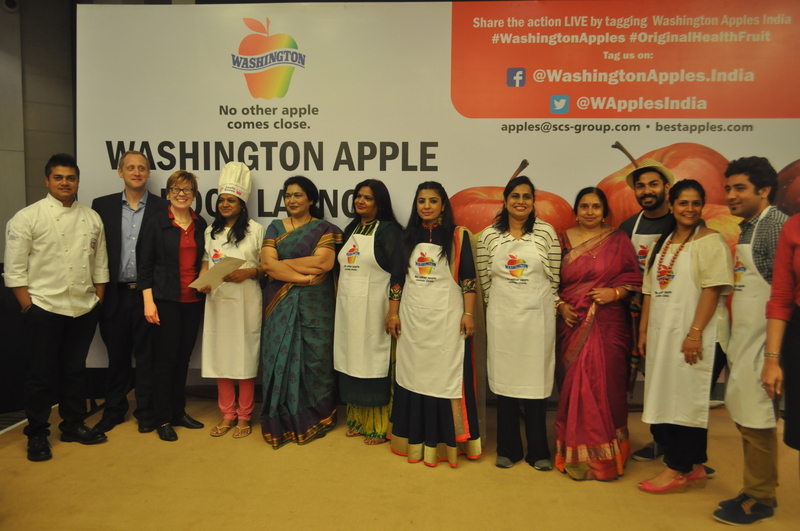 This challenge involved creating an innovative Washington apple dish with mystery ingredients.Chef Ritu Aggarwal presented Cold Washington Apple Pizza and bagged the winner title. The next time you feel like munching something, walk past the chips and colas and head straight for sweeter, juicier, crunchier, tastier Washington apple. You deserve to live fit and longer, yes? So, what are you waiting for? Go grab your copy today and have some fun with Washington Apples!